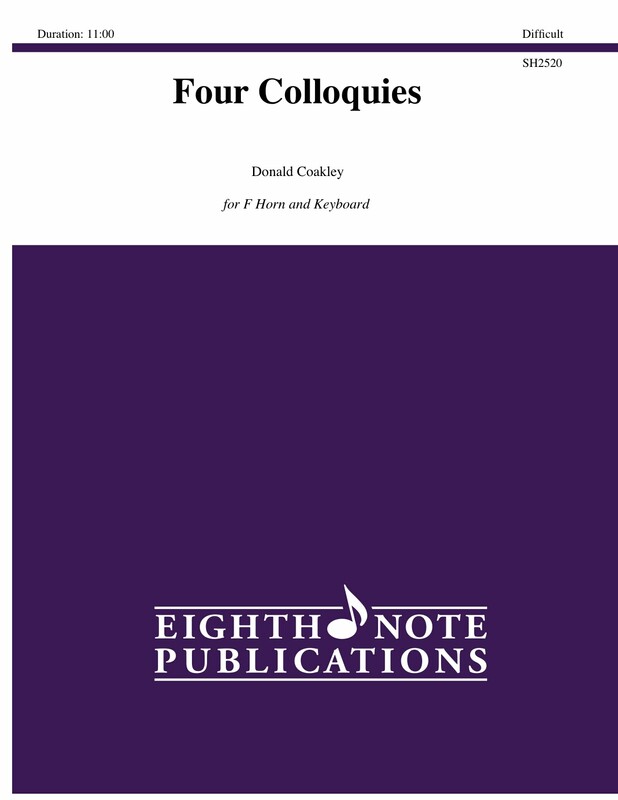 As noted in the dedication, Four Colloquies was a birthday gift for a very talented French Horn player. The four movements represent four dialogues between the two instruments. The role of the piano then, is more than just to accompany. While it certainly functions in that capacity, it is also an active participant in the dialogue, or colloquy with the French horn.